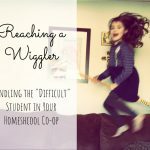 Accommodating a special needs child in your homeschool co-op is pretty simple – and a whole lot of fun. 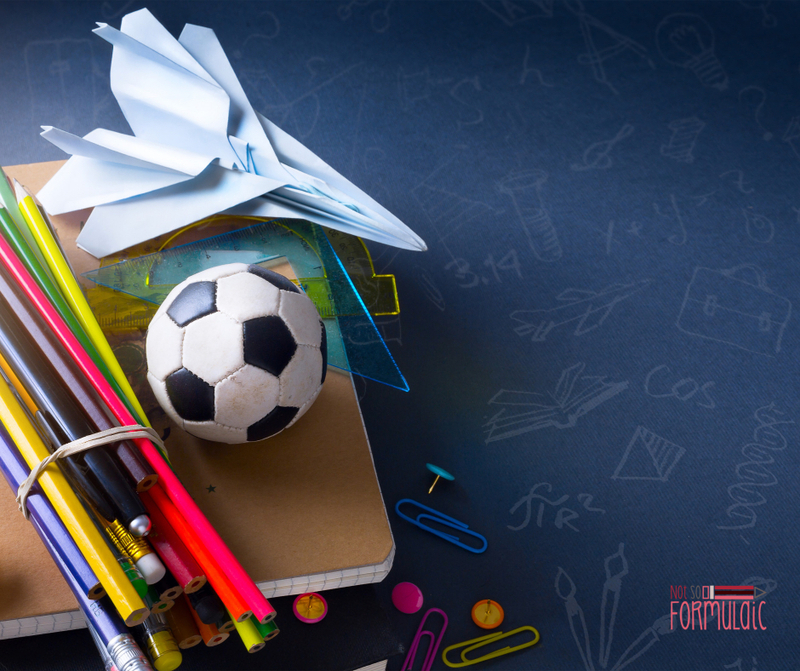 Here are six tips to help you level the playing field for every student. We fell into homeschooling. It wasn’t something I planned to do, nor was it something I felt called to do. But after a difficult kindergarten in Catholic school left us considering other options, I turned to the possibility of teaching my daughter at home. My oldest daughter has Sensory Processing Disorder. She is also highly gifted. 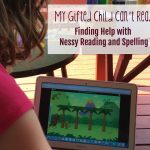 This makes her a Twice Exceptional child: one who is both intellectually gifted and academically challenged. My daughter’s time in the classroom was pure torture. She went into kindergarten reading at a sixth-grade level. She was also an accomplished artist, used to the freedom to create in her own way and at her own pace. These two characteristics could have been an asset in the classroom. But for her, they were a heavy millstone around her neck. And the classroom slowly filled with water. My kiddo an out of sync child whose brain and body don’t communicate as they should. Outside stimuli (noise, commotion, lights, textures) can send her into overdrive. 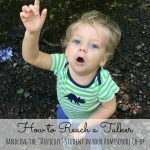 Before occupational therapy and a bit of old-fashioned growing up, this resulted in one of two responses: flight, in which she would escape from a situation as quickly as possible, or fight, in which she would melt from the stress. This was a challenge in a classroom with 25 other five and six-year-olds. At least once or twice a week she would run from the classroom (or school building) without warning, or explode into forty-five minutes of guttural screaming, hitting, kicking, and convulsing. As if this weren’t enough to make life miserable, G exhibited signs of asynchronous development. 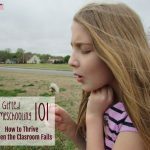 This is a common trait in many gifted children, occurring when a child’s intellectual ability is far beyond that of her social and emotional development. 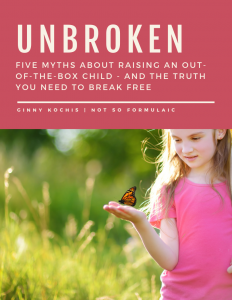 So while at the age of six she was able to grasp concepts generally introduced in high school, she struggled to develop and maintain friendships with her peers. My daughter was lonely, angry, and confused. To spare you the sordid details, we reached the official diagnosis of 2E: HG/SPD at the end of her kindergarten year. We could have sent her to the neighborhood school whose staff had walked us through the evaluation process and created her IEP (individualized educational plan). But when I thought about the school environment itself – more kids, more chaos – I submitted my Notice of Intent to homeschool. Why, you ask, especially when I had a child who struggled socially? Homeschooling affords the ultimate in flexibility. Schedules can be changed, curricula can be adjusted, and the learning environment can be adapted at a moment’s notice. I could provide her with an environment that challenged her intellect but respected her boundaries. I could provide her with the religious instruction a public school could not. I could provide her with opportunities for socialization that would help her make friends while avoiding sensory burnout. 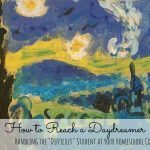 It seemed the most logical course, and as we approach her sixth year of homeschooling I can say it has been the best one for her. She enjoys her time in co-ops, classes, and clubs, though it has not been without its hiccups. Over the past four years, I have learned that inclusion of a 2E child is not intuitive, even in a more relaxed, homeschool co-op setting. 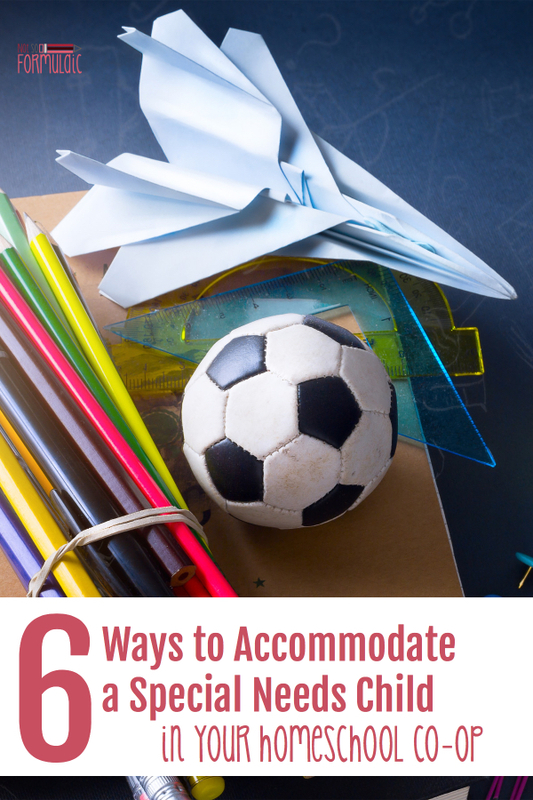 Read on for basic accommodations for students with special needs – I share them as a help to those who teach exceptional children and for the parents who love them. encourage the student to write about or draw what she is imagining. I know that the prospect of accommodation can be daunting, and it is tempting to say that the child will simply have to learn to fit in. It is also easy to assume that accommodations might provide an unfair advantage to some students while inconveniencing others. 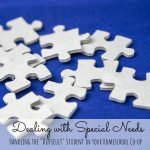 As the mother of a special needs student and a classroom teacher, however, my experience has been different. Accommodations are not special treatment. Rather, they are a way to level the playing field, giving all students an opportunity for success. I hope the suggestions above will act as a foundation for positive experiences across ability and challenge levels. Every child deserves a chance to succeed.